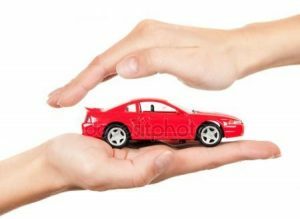 The right auto insurance policy can help get you back on the road quickly if your car, truck, van, or SUV is damaged or destroyed by accident, fire, theft, or other covered event. Your policy may also provide protection against medical and legal expenses resulting from injury, loss of life, or property damage caused by an accident involving your vehicle. Based in Lakewood, Colorado, our team understands the auto insurance needs of our customers. We write insurance in the entire state of Colorado and would be happy to help you ensure you have the right coverage. For some basic information on the coverage options available, please keep reading. You may also want to check out the links on our Resources Page to get a little more information on these coverages. The state of Colorado requires that any vehicle on the street must carry liability insurance to pay for injury and damage caused to someone else, if you are responsible for an accident. To provide yourself better protection, you can increase these limits above the state required minimum. Collision insurance coverage pays for damage caused to your vehicle in an automobile accident. Standard collision coverage will pay for any repairs up to the fair market value of your car. Collision coverage usually also comes with an insurance deductible. It’s the amount of money you pay toward repairs before your collision insurance kicks in. The higher the deductible you’re willing to pay, the less the collision coverage will cost. And although it’s not legally required by any state, you will probably need it if your car is financed. Comprehensive insurance covers damage done to your car in some way other than a collision, such as if it were stolen or vandalized. Flood, hail, theft, windshield damage and fire are also events usually covered by comprehensive car insurance. Like collision, comprehensive will pay up to the fair market value of your car (less your insurance deductible). This is also frequently required by the bank when a vehicle is financed. – Should you carry comprehensive and collision? This question can be a personal one, based on your financial situation, however, we do have some suggestions on how to make that decision easier. Under comprehensive and collision coverage, the most the insurance company will pay is your vehicle’s actual cash value (ACV) minus the applicable deductible. To help determine your vehicle’s ACV, you can use an estimator tool at N.A.D.A. Guides or Kelley Blue Book. Just answer questions about the year, make, model, features, and condition of your vehicle and the database will tell you an approximate cash value of your car. If you have added custom parts or equipment such as high end wheels or an after-market stereo system, this ACV will not include that value and your insurance may not cover them either, unless you have purchased additional coverage. Once you have the ACV for your vehicle, you will want to compare it to the amount you are paying for comprehensive and collision coverage and the amount of your deductible. If you are paying more for the premium over a few policy terms than you would receive in the event of a total loss, it is probably time to drop the coverage. Give us a call and we can talk through this decision with you and see if there are other coverages that would better suit your needs. – Agreed Value: This means the provider will pay you the full (agreed to) amount in the event of a covered total loss, less any applicable deductible. This type of coverage is much better than “actual cash value” or “stated value” that you may get with some companies. – Low Rates: Why pay full-time insurance when you driver your collector car only part-time. – Coverage Options: Not all collector cars are the same, so The Insurance Place, Inc. can work with you to determine the right amount of coverage to meet your specific needs. – Roadside Assistance: Whether you’re down the street or on a classic rally through the mountains, you’ll want to find coverage that will flatbed your car to the closest qualified repair facility.